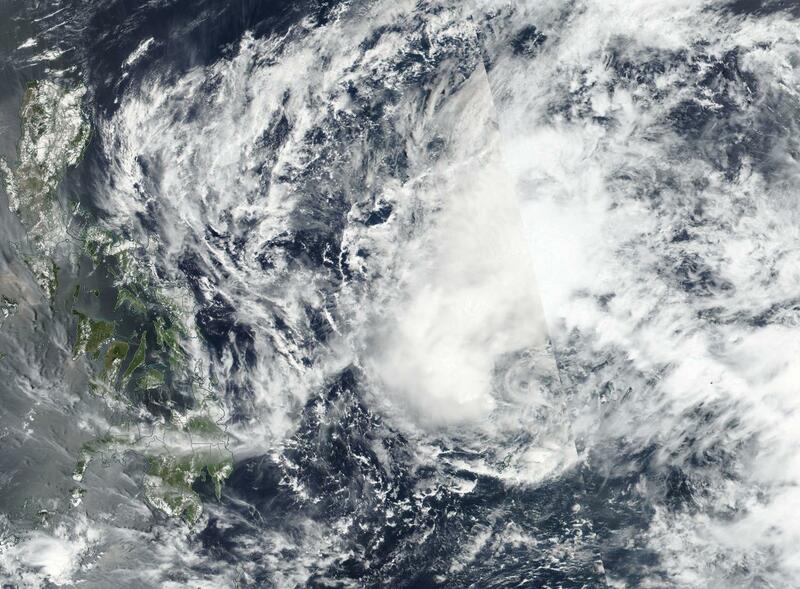 Satellite imagery showed that Tropical Depression Jelawat was still dealing with southerly vertical wind shear that was pushing the bulk of its clouds north of its center. On March 27, Jelawat was centered over 100 miles from Yap State in the Northwestern Pacific Ocean. Yap State is one of four states in the Federated States of Micronesia. The other states are Chuuk State, Kosrae State and Pohnpei State. That day at 8 a.m. EST (1200 UTC), the Visible Infrared Imaging Radiometer Suite (VIIRS) instrument aboard NASA-NOAA's Suomi NPP satellite captured a visible image of Jelawat. The image showed that the bulk of the convection remains displaced to the north. That's because the system is in an area of moderate vertical wind shear. By 11 a.m. EST (1500 UTC) Jelawat was a tropical depression with maximum sustained winds near 34.5 mph (30 knots/55.5 kph). The center of circulation was near 10.6 degrees north latitude and 135.5 degrees east longitude. Jelawat was moving to the northeast 7 mph (6 knots/11 kph). The image was created at NASA's Goddard Space Flight Center in Greenbelt, Md. The Joint Typhoon Warning Center (JTWC) noted that Jelawat is now "coming out of a momentary quasi-stationary motion and is now getting back on track along the southwestern periphery of the sub-tropical ridge to the northeast. After 36 hours, it will turn more northeastward on the poleward side of the sub-tropical ridge."